All Jersey Moving and Storage is the one stop shop for all of your moving and storage needs in New Jersey. Our moving company is located in New Jersey and offers local, long distance, and storage services for both residential and commercial customers. We don’t just move boxes and furniture but also exercise the care and expertise necessary for moving pianos, antiques, artwork, and other valuables. Moving out of New Jersey? Our moving company can handle moves anywhere in the contiguous United States. We partner with National Van Lines when moving customers more than 500 miles. National Van Lines are long distance moving experts with more than 80 years of experience. All Jersey Moving and Storage has proudly served our community, state, and country since 1992. We are one of fewer than twenty moving and storage services companies in New Jersey who have earned the “Circle of Excellence” designation from the New Jersey Warehousemen and Movers Association. This designation is awarded to a moving company that goes above and beyond the industry standard. Our moving company provides a variety of services to people moving locally within, or longer distance to or from, New Jersey. We understand that moving is not a one size fits all process and are specialists not simply in moving but in a variety of moves and related services. We offer all moving services. We provide extensive moving services and also specialize in more complex moves. We are adept at moving seniors. From helping with downsizing to move into a seniors' community to relocating to a warmer climate, All Jersey Moving and Storage understands the unique needs of moves for seniors and is happy to work with older clients or their children or caretakers to take all of the stress out of the move. We know how to move a piano. If you’ve ever seen the inside of a piano you’re aware of the many different components that make up the instrument. Our moving company understands pianos and the intricacies of moving them, and is highly respected within the music industry. Whether you’ve got a small upright or a Steinway grand, we’ll make sure it’s moved without any damage to the piano or either residence. We can help you with the worst aspects of moving. Whether it’s the packing or unpacking that you hate, we offer partial or full assistance with both. That’s right, All Jersey Moving and Storage will pack as much or as little of your belongings as you want or need and we’ll also unpack for you - we’ll go as far as setting up your new space if that’s what you want. We can step in to assist with a last minute move. Sometimes a move happens faster than anticipated. We can work with you to reduce the stress of a last minute movs and help make the process as smooth as possible. We can move your business. All Jersey Moving and Storage is able to handle commercial moves, safely moving computer equipment, documents and more. The best part? We can also set up and install cubicles and workstations in your new place. Your employees will thank you. We offer affordable secure storage. We have our own climate controlled, containerized storage facility to keep your belongings securely if you don't need them immediately. We handle your possessions with care. 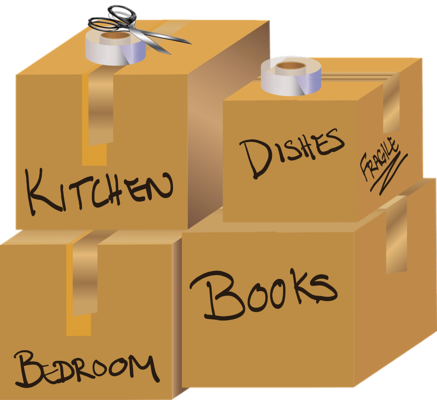 Your belongings are packed securely in boxes or wrapped in shrinkwrap or moving blankets to ensure there's no damage. We limit the number of hands involved in your move. Working with a full service moving and storage company means the same people who pack your belongings will likely unpack them. We value our personal relationship with clients and believe this puts us a step ahead of the competition. When it comes to moving in New Jersey, you have your choice of whom to use but the benefits of working with us are clear. We have award-winning service. Our company has received the “Circle of Excellence” designation. This is because our movers go above and beyond what is required to make sure that your move is as stress-free as possible. Moving isn’t just what we do, it’s what we know and what we’re passionate about, and that passion shows. Check out our testimonials and you’ll see consistent comments about how much our moving and other staff care. We have deep knowledge. Knowing something deeply is the key to doing it well. Moving is a great deal more complex than simply packing boxes, moving them onto a truck, taking them off, and putting them into a new space. Moving means things that can’t be packed in boxes, it means artwork and antiques and large items. All of these things are at risk for damage if not moved properly and can damage both the space you’re leaving and your destination, resulting in nicked paint, scratched floors and dented doorjambs and extra expense. All Jersey Moving is well versed in how to properly move items, even excessively large and heavy ones like pianos, without causing any damage to property or the items themselves. We care about our clients. We treat each move and customer on an individual basis, taking care to learn about their individual circumstances beyond square footage and miles between locations. Whether moving a family with young children, a musician with a baby grand, or elderly clients, we believe in exercising care, caution and best practices to make your move stress free, injury free, and damage free. When you need to move to New Jersey, away from New Jersey, or within New Jersey, make us your first call. Whether you use our online estimate tool (put aside about 15-30 minutes) or select an in-home estimate, we will work with you through each step of the process to guarantee transparency, comfort, and stress-free moving. You can contact us by phone, email, or through our website to start learning how our moving company can make sure your next move is your best move. Our business is operated out of Piscataway but we also partnered with a company in 2006 that was located in Wall Township, NJ. We service all of New Jersey and moves within the contiguous United States.